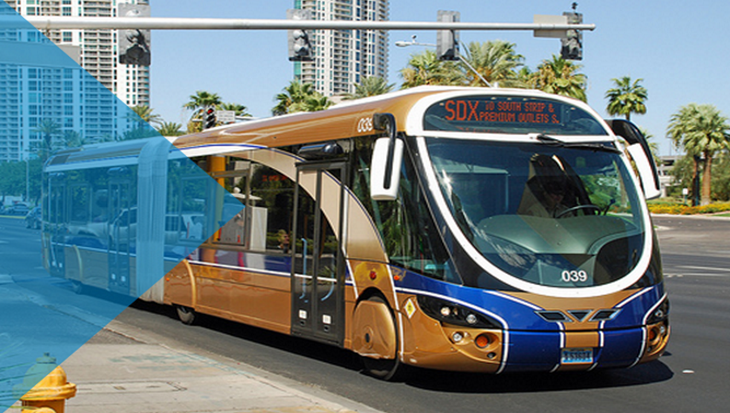 The Regional Transportation Commission of Southern Nevada (RTC) performs many transportation activities within the Southern Nevada region. It is a regional entity that oversees public transportation, traffic management, roadway design and construction funding, and transportation planning for Southern Nevada. As the Las Vegas Valley’s population continues to increase daily, so too does traffic congestion. The RTC identifies transportation challenges and explores and implements both short and long-term resolutions while simultaneously promoting sustainability, air quality improvement, enhanced mobility and increased quality of life in the region. As the Metropolitan Planning Organization (MPO) for Southern Nevada, the RTC is helping to create sustainable communities, supporting all types of transportation, including walking, biking, and transit. These alternative types of travel are key to reducing congestion in the Las Vegas Valley. The RTC was developing its’ budget of approximately $900 million for 48 departments through spreadsheets and manual processes. The RTC required a budgeting solution that was user friendly, eliminated multiple spreadsheets, provided accurate historical data and integrated with their accounting system. With Questica Budget RTC now has a centralized budget with the flexibility to manipulate data and more time to spend on analysis and higher value projects. The RTC had a budget of 900 million for 2016 which was generated in coordination with 48 departments entering their budgets into individual Excel spreadsheets. Every department would budget each account number separately and then roll the number forward into the overall summary sheet. This was then rolled into the overall fund summary spreadsheet. Each department had two to three people working on entering budgets for the upcoming fiscal year as well as estimates for the current year. The finance department then had a budget meeting with each department to justify their numbers. The RTC worked off the zero-based budget model, so every single line item had to be scrutinized carefully and justified. This is a lengthy process but ensures that the most effective version of the budget is created. If management wanted to look at the actuals from prior years up to the quarter they were in, they had to go into the general ledger and look up the history by transaction. This would take several weeks, up to a month, to pull information by transaction to be able to find data at the contractor or vendor level. The RTC was anxious to find a budgeting solution that was user friendly and captured timely accurate data down to the vendor level. Marc Traasdahl, RTC’s Director of Finance, was introduced to Questica Budget at the American Public Transportation Association’s Conference and was pleased to learn that historical data could be viewed down to the vendor level. Our solution provides data below the general ledger account to the level of purchase order for vendor. The RTC purchased Questica Budget to automate their spreadsheet mess and so staff would spend less time working on entering budget numbers and more time analyzing data. Questica Budget offers the RTC of Southern Nevada the opportunity to develop and submit their budgets quickly and seamlessly. Reports can be generated easily with real time data so staff has an accurate indication as to budget status. Questica Budget is an intuitive and user-friendly software system. Our web-based platform is highly configurable through a variety of modules and widgets, supplying each department of the organization with exactly the features they need to plan, measure and control their own budgets. As Questica Budget is designed in a table format, it has familiar functionality of Excel. This familiarity makes it easy to learn how to use the software. The implementation and training of Questica Budget at the RTC was performed quickly as staff could easily understand how to use the software system. Robert Leavitt, Project Manager, RTC was responsible for ensuring the implementation and training went smoothly. Accessing real time data is key for the RTC. Staff no longer need to maintain multiple spreadsheets which are not always accurate or up-to-date. Instead information is entered only once into Questica and then is fed into RTC’s accounting system MS Govern. Marc Traasdahl was pleased that Questica had experience in integrating with MS Govern. Managers enjoy the automatic nightly synchronization between Questica Budget and their financial system which ensures they are always viewing up to date budget data. This up-to-date information is essential to managers making edits and future budgeting changes. There are over 100 standard reports available in Questica Budget that can be customized to suit customer needs. In addition, customers can create their own reports via ad-hoc reporting capabilities. The RTC appreciates that these reports are generated quickly and can provide management with a snapshot as to the status of a budget. Reports can be generated on department, account and vendor levels. Eliminating the need to maintain data in multiple spreadsheets has provided the RTC with more accurate data available in one single database. In the past when staff had to add an account during the year or present numbers differently, they had to make sure that they changed all the necessary spreadsheets ensuring that the formulas still worked and the information flowed accurately. Ensuring that data was always accurate was a full-time job. In Questica Budget changes only need to be made in one location and are automatically updated throughout the budget. The data can also be manipulated and several “what if” versions of budgets can be created with no fear of losing or messing up the original budget. Then the final budget can be finalized and submitted for approval. Questica Budget’s process efficiencies have saved RTC time developing future budgets. Previously, it would take several weeks (up to a month) to view actuals from prior years. Staff would have to go into the general ledger and pull up each transaction to source specific details by vendor. With Questica Budget information can be gathered in minutes, saving staff hours of time that can be used analyzing the budgets for ways to save money. At the RTC, salaries and benefits need to be managed for 340 individuals. The Questica Salary module supports the ability to accurately model and forecast all costs associated with positions and employees. Each position is associated with a default GL Account and is then assigned a pay grade, step, contract, pay scales and benefits. Thanks to more efficient budgeting, RTC is brilliant.